The Easter Bunny will make an appearance at Bath Junkie on Saturday, April 20 from 1 to 3 p.m. to visit with children of all ages. Families will be able to take photos with the Easter Bunny and enjoy candy-filled eggs, while supplies last. Bath Junkie is Carmel City Center’s bath and body shop. Each product from Bath Junkie’s wide selection—including phosphate-free bubble bath, paraben and mineral-oil free moisturizers, exfoliating salt scrub, spa tub-safe bath crystals, alcohol-free body mist, SLS-free shower gel, everywhere foaming body wash, hair conditioners, anti-bacterial hand wash and a full line of pet products—are custom-blended to their customers’ specifications right in the store. 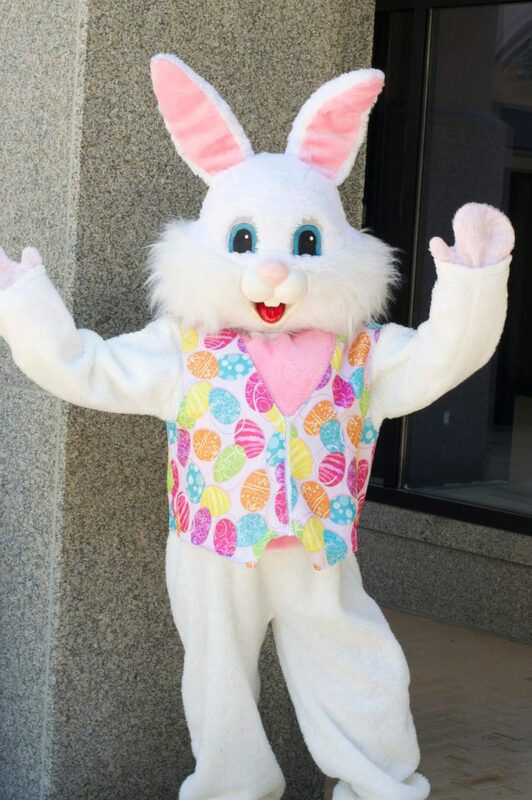 Visitors are invited to come early for lunch at Books & Brews, Eggshell Bistro, Hubbard & Cravens, The Old Spaghetti Factory or Matt the Miller’s Tavern and visit the Shops at Carmel City Center before or after your visit with the Bunny. Don’t forget to stop by Graeter’s Ice Cream for a sweet treat afterwards! Bath Junkie is located on the interior plaza level of Carmel City Center at 741 Hanover Place. Surface parking is available on plaza level (accessible from City Center Drive), in the underground garage (accessible from Range Line Road as well as City Center Drive) and in the Veterans Way garage.